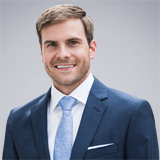 Dr. David Witt enjoys talking to his patients about their dental care goals and providing customized treatment plans designed for their specific needs. He earned his Doctor of Dental Medicine degree from Alabama School of Dentistry at Birmingham, and his Bachelor of Science degree in Chemistry is from the University of North Alabama in Florence, AL. He is a member of the American Dental Association. Dr. Witt and his friendly team offer patients advanced technology and provide a wide variety of services including teeth cleanings, fillings, extractions, bone grafting, root canal therapy, crowns, bridges, dentures, veneers, oral cancer screenings and teeth whitening. He treats adults, teenagers and children starting at age 8. In pain? His office can usually accommodate same-day emergency dental appointments. Dr. James Bowers has more than 40 years of experience helping people smile. He earned his Doctor of Dental Surgery degree, a Master of Science degree in Protozoology and a Bachelor of Science degree in Biology from Howard University in Washington, DC. He served in the U.S. Army and was an Assistant Director of the General Dentist Program at Fort Knox in Kentucky, later he went into private practice. Dr. Bowers offers a wide variety of services including comprehensive dental exams and cleanings, fillings, crowns, bridges and oral surgery. He also offers extractions and dentures, dental implant restorations, toothache relief, night guards, and cosmetic dental procedures such as veneers and teeth whitening. Dr. Bowers makes it easy for the whole family to receive the dental care it needs. He treats adults, teenagers, and children as young as five years old. New patients, walk-ins, and emergency visits are welcomed.